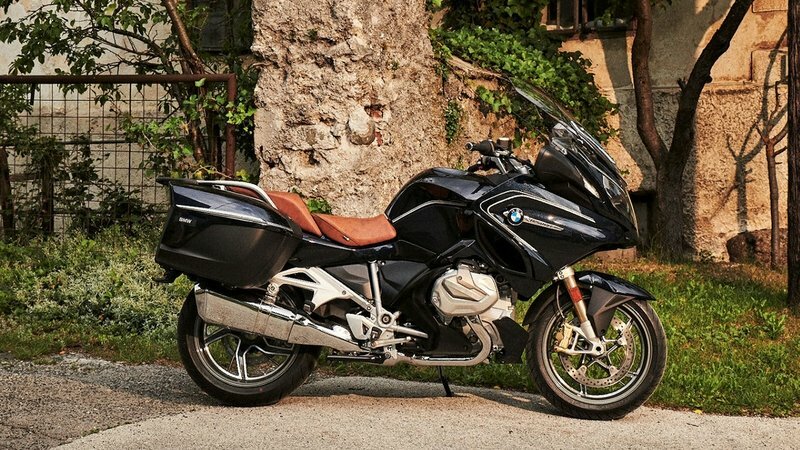 BMW Motorrad hits MY2019 with the R 1250 RT as its spanky new super-tour bike. Why “super?” Well, it carries a newly refined boxer-twin that brings more mechanical yummy-goodness to the table, to include variable cam timing and staggered intake timing meant to broaden the powerband; and a combined engine/transmission case that eliminates some unnecessary weight from the assembly. As you’d expect, the electronics suite is pulled from the top shelf for the stock package, and unsurprisingly, the factory has optional packages available that introduce even more fandanglery to the situation and make the “RT” a proper technological marvel. It all comes together on an undeniably progressive machine with clear Euro-sport roots. Interest piqued yet? Mine too, so let’s get to it. 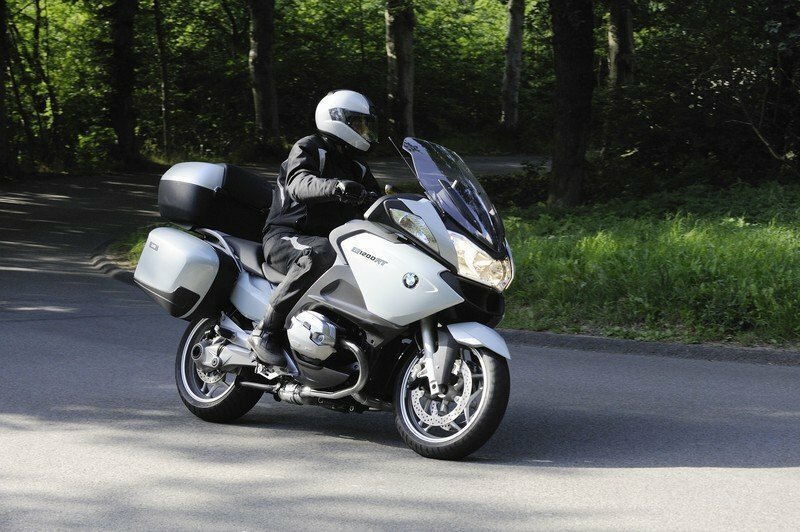 Continue reading for my review of the BMW R 1250 RT. 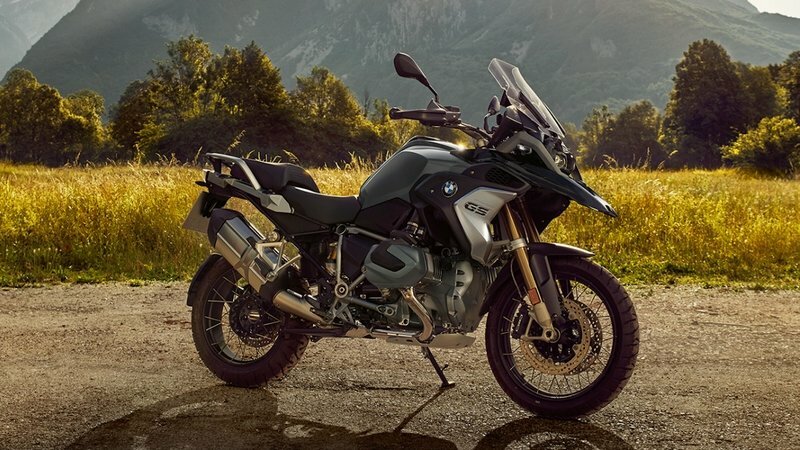 BMW Motorrad refined its top-end adventure bike lineup ahead of MY2019 with the R 1250 GS Adventure. It builds on the base R 1250 GS platform with a handful of off-roadtastic features on top of the extensive fandanglery already associated with this family, plus an increase in both power and torque from a new, higher-displacement, Shift-Cam engine. 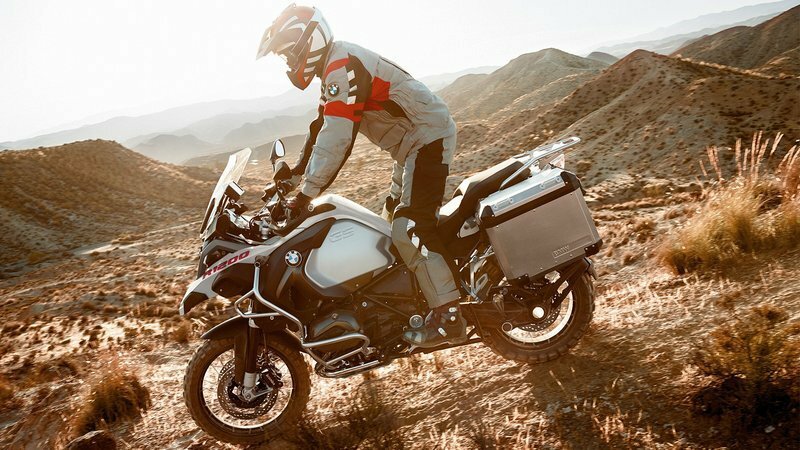 In addition to the stock equipment, Beemer offers extensive customization options through its accessory catalog to turn the “Adventure” into a technological marvel on wheels. 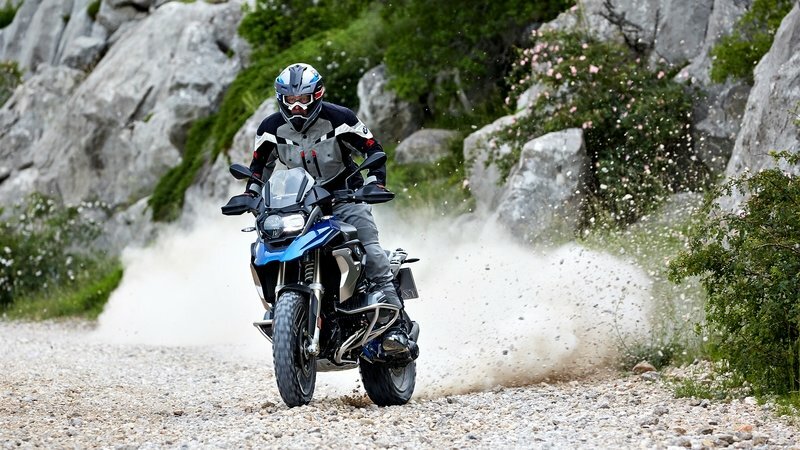 BMW Motorrad refurbished its signature boxer-twin ahead of MY2019, and used it to drive its new R 1250 GS. This decidedly dual-surface adventurer delivers more of everything you’re looking for in a cross-country machine. More power, more electronic fandanglery and more safety/comfort/curb appeal puts the “GS” into the top tier of adventurous two-wheelers, and though it comes stock with a definite blacktop bias, you have but to chuck on a set of knobbies to do some proper rally-style riding. Don’t believe it? Let’s get down to the nuts and bolts of the thing, then see how it stacks up against another proven design from the European theatre whilst I make my case. 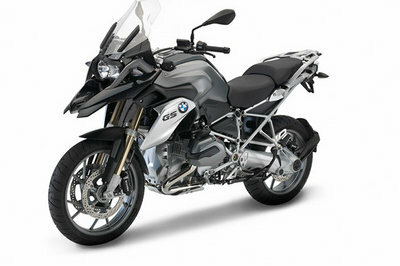 Continue reading for my review of the BMW R 1250 GS. 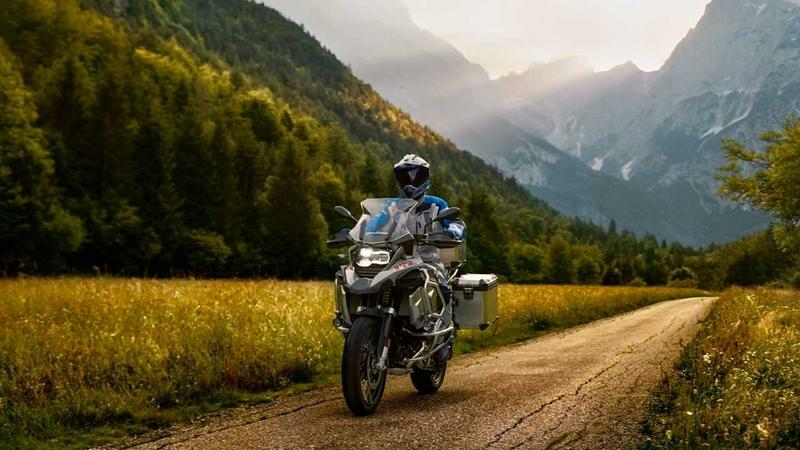 The Bavarian motorcycle manufacturer has been the market leader in the adventure scene with their promising GS motorcycles running the show for more than 35 years. Topping this chart is their flagship workhorse, the R 1200 GS series and its flat-twin boxer engine that is undoubtedly the best companion for exploring the unexplored. Currently, this machine runs on a 1170cc flat-twin boxer engine and is all set to receive some major updates for the 2019 year along with some high-tech features coming in as standard. The new mill is going to make it specked to Euro-V norms and also make more power without losing on any fuel efficiency. What’s the trick? It’s called the BMW ShiftCam technology. 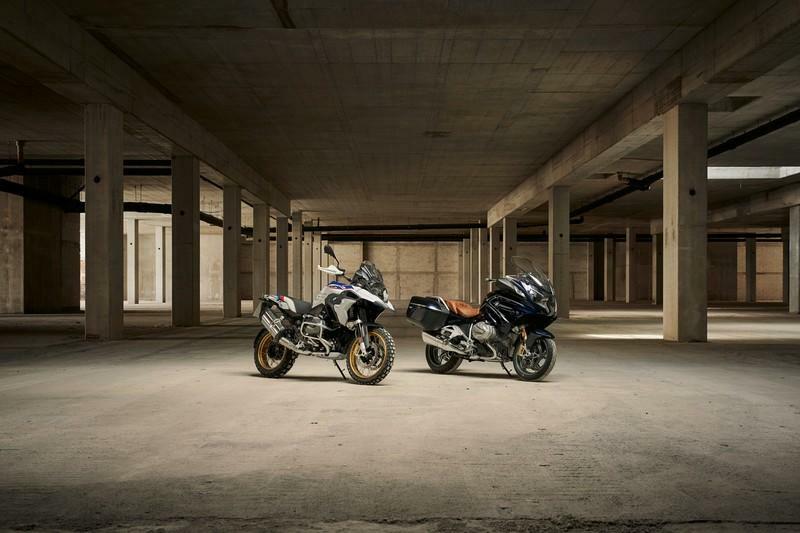 The Bavarian motorcycle manufacturer has been the market leader in the adventure scene with their promising GS motorcycles running the show for more than 35 years. Topping this chart is their flagship workhorse, the R 1200 GS series and its flat-twin boxer engine that is undoubtedly the best companion for exploring the unexplored. Then there is the R1200RT, a sport touring motorcycle which has many at times been the bestselling model for BMW. Currently, both these machines run on a 1170cc flat-twin boxer engine and are all set to receive some major updates for the 2019 year along with some high-tech features coming in as standard. The new mill is going to make them specked to Euro-V norms and also make more power without losing on any fuel efficiency. What’s the trick? It’s called the BMW ShiftCam technology. 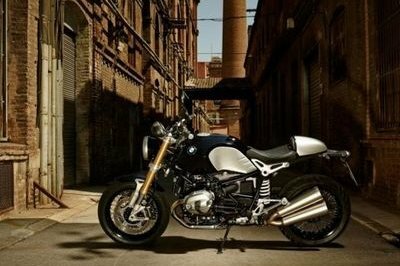 Heritage sells, and BMW looks to take it to the bank with its R nineT model family that brings classic looks and a timeless engine configuration together. Outward appearances may draw on dated (read: classic) design elements, but performance from the boxer-twin powerplant puts the R nineT in a decidedly modern category that has launched an entire line of sub-models. Today I’m going to dissect the bike that serves as the foundation for the R nineT stable and take a look at the 2017 update that it carries it into MY2019. Continue reading for my review of the BMW R nineT. Being the best-selling range of motorcycles for the Bavarian company, the GS legacy harks back close to 40 years, which was initiated with the R 80 GS back in 1980. Then there is the R1200RT, a sport touring motorcycle which has many at times been the bestselling model for BMW. Currently, a 1170cc flat-twin boxer engine is the workhorse for both the flagship ADV motorcycle and is all set to receive some major updates for the 2019 year that is going to make it specked to Euro-V norms and also make more power without losing on any fuel efficiency. What’s the trick? It’s called VVT. The new-from-2016, R nineT Scrambler from the Bayerische Motoren Werke (BMW Motorrad) rolls into 2019 still based on a general design popular from the ’50s all the way through the ’70s. The Scrambler embodies the form of the original scramblers, while borrowing from the 1951 Beemer R 68. The result is a ride that invokes nostalgia in those old enough to remember the originals and subsequent variants, but also appeals to a younger crowd who appreciates classic looks coupled with updated performance and more reliable technology than its antique predecessors. I say that with confidence since I fall into the latter group, and I am really digging this new-old ride, so join me for a dissection of this scrambler descendant as I try to determine how closely this apple fell to the tree. Continue reading for my review of the BMW R nineT Scrambler. The race to the top is getting more fearsome every passing day, and the manufacturers are pulling out every little trick they have up their sleeves to make their product stand out from the rest. BMW Motorrad is at the forefront of imagination, innovation, and technology and proof of that is their list of the finest motorcycles that set benchmarks for every other maker to chase it. 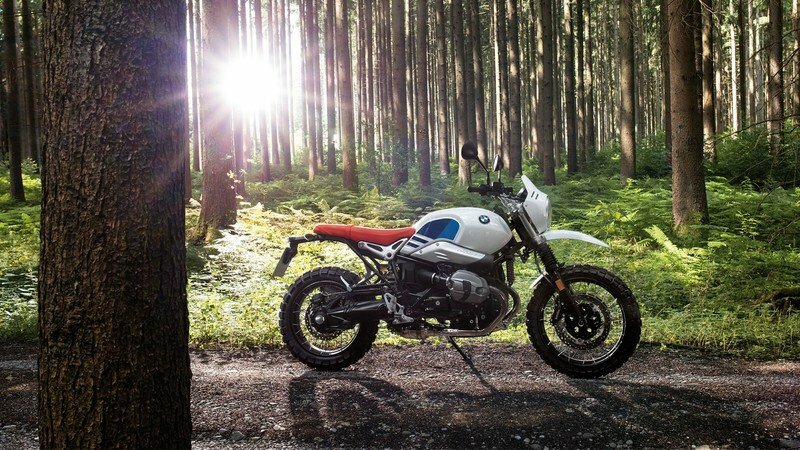 Keeping the race alive, the German manufacturer has released a host of updates to its 2019 lineup, including its scooters, six-cylinder tourers, R NineT retro models, and the new adventure machines. BMW gave its R 1200 GS a series of tweaks over the past couple of years to deliver a more polished product than ever before. A 1,170 cc boxer delivers well over 100 horsepower, and arguably more-importantly, almost triple-digit pounds o’ grunt that’ll be of utmost concern for riders that opt for the off-road-tastic “Rallye” package and its riding style. The overall looks were updated ahead of MY2017 with a few tweaks to the body panels, and the electronic safety fandanglery such as the traction control, Hill Start control, and more are now bundled into new packages to spread some of the love toward the bottom-tier buyers, relatively speaking of course. Beemer throws on plenty of yummy-goodness here, so even though the R 1200 GS is a platform for more advanced/expensive models, it’s a capable machine in its own right. Don’t believe it? Stay tuned and I’ll prove it. 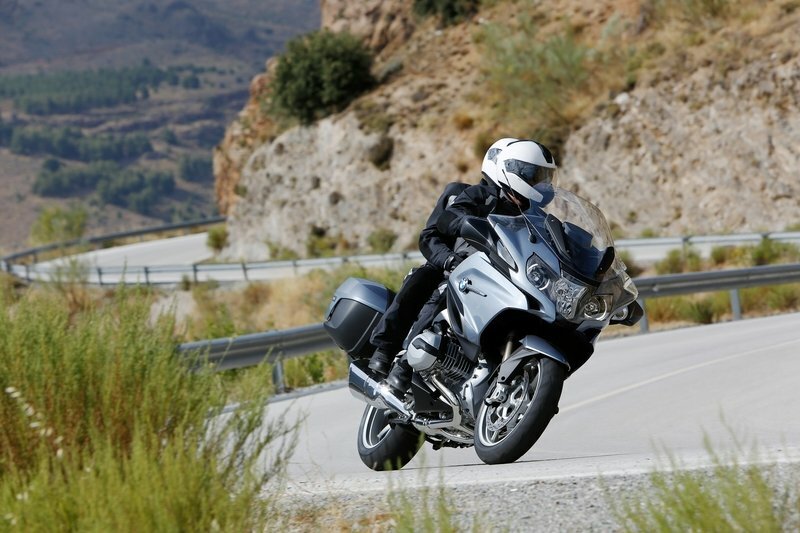 Continue reading for my review of the BMW R 1200 GS. A Munich-based industrial designer who goes by the name Christian Zanzotti has come out with his latest motorcycle creation using a newfangled piece of technology, virtual reality. What Zanzotti has done is, take a brand new BMW R1200R and dismantle it back to its iconic boxer engine and parts of the frame. Using Virtual Reality-prototyping and state-of-the-art production methods, he, along with his project partners GRAYDEV. 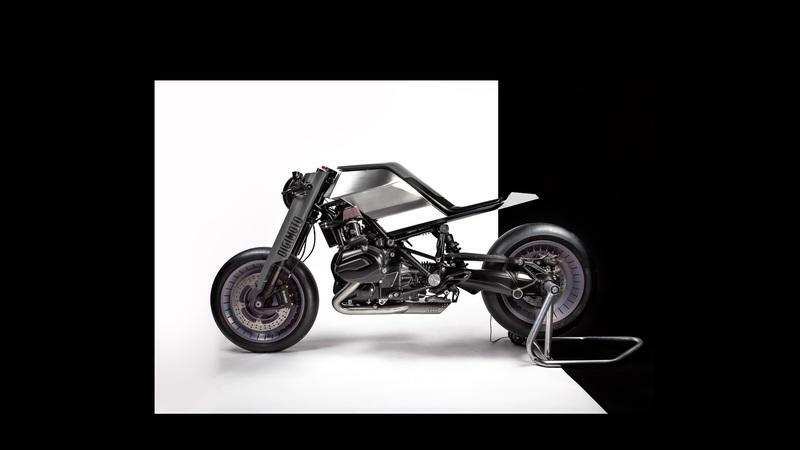 and Wunderlich, the world’s largest BMW premium motorcycle outfitter, has assembled a futuristic motorcycle that manifests as a fused element of both man and machine. The BMW marque has long been associated with top-shelf engineering and luxury, and that reputation is justified once again with the updated-in-2014 R 1200 RT. 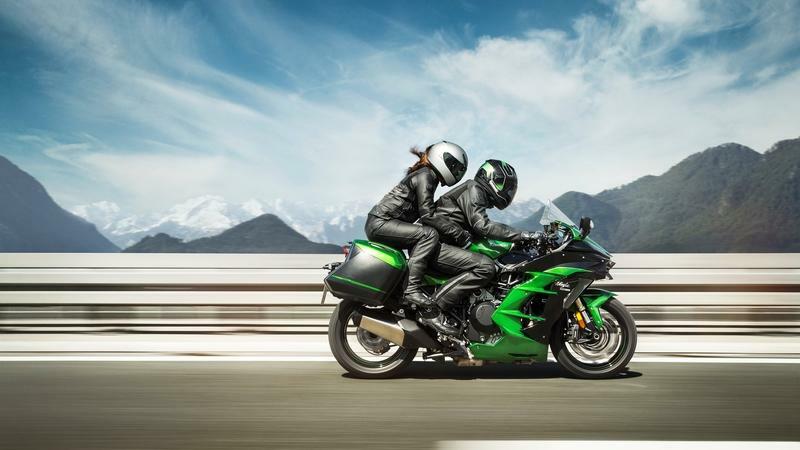 A true sport-tourer, the RT brings 125 horsepower to the table along with an array of electronic gadets to help manage the power and provide a low-stress riding experience. As a base model, the RT stands head and shoulders above most of the competition, but the available accessories raise the bar even higher. Excited yet? I know I am. This newest iteration also received a facelift that brings the model aesthetics up to date, so even though form follows function (as it should), form was definitely not neglected. Let’s get to it and see what those crazy Bavarians are up to, and what they’ve done to bring the venerable RT up to date. Continue reading for my review of the BMW R 1200 RT. BMW’s R 1200 R roadster has been around since 2006, and the Motorrad looks to extend that run with a repowered and updated version for MY15 and beyond. 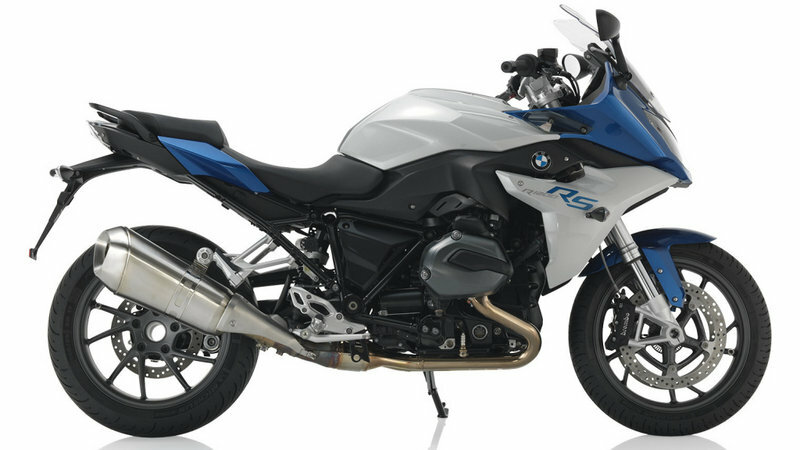 The new “R” gets the same boxer mill as the R 1200 GS/GS Adventure/RT/RS, so it packs 100-plus ponies and 90-plus pounds of grunt into the narrow, minimally appointed roadster frame. Electronic gadgetry comes in the form of ABS and ASC, as well as variable power-delivery modes and traction control, for most of the top-shelf safety features folks tend to expect nowadays. There’s more of course, so it’s safe to say that there is much more here than meets the eye if you’ll forgive the shameless Transformers reference, so let’s dive right in and see what else the Bayerische Motoren Werke has in store for us with this newest incarnation of its popular roadster. Owners have been complaining about it for years. 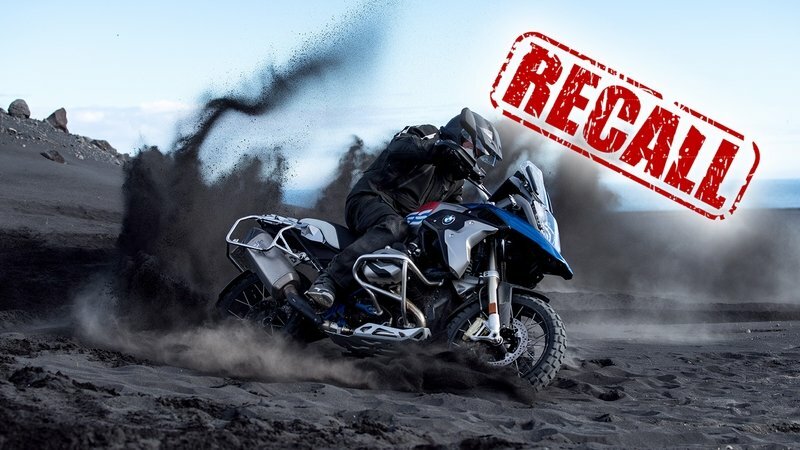 Finally the Powers-That-Be have issued a recall on the 2014 through 2017 R1200 GS and R1200 GS Adventure from BMW for a problem with the upper triple clamp, though several complaints lodged about the bike losing power — both underway and when idling — are still in the wind. First things first, let’s deal with the triple-clamp recall. The National Highway Traffic Safety Administration has issued a recall on the GS and GS Adventure for a problem that causes the fork tube to separate from the fork cap. The first symptoms could be oil leaking from the top of the fork. As it continues to wear, the steering would feel sloppy and imprecise. If it gets to the point that the tube actually separates from the cap, you’re going down in no uncertain terms. Continue reading for more on the BMW recall. A sophisticated nostalgia kicking some dust. Success was not a problem with BMW, especially for their R NineT. It has absolutely been a hit story for the German ever since it launched the R Nine T in 2013. It was so good that BMW struggled initially to keep up with the demand and they released one version after the other in succession to the world stage that includes the Pure (roadster) and Racer (café/endurance-style), as well as the Scrambler. It is a no brainer that BMW Motorrad will see it fitting to extend their range even further. The GS motorcycles refer to either Gelände/Straße (German: off-road/road) and are distinguished by their long travel suspension, upright riding position and larger front wheels. Taking up the same moniker is the Urban G/S which is a purpose built street-oriented motorcycle that has a charm bound to resonate with onlookers. Based on the ‘Lac Rose’ concept seen at Wheels and Waves earlier last year, the German finally took the wraps off their new 2017 BMW R nineT Urban G/S at the previous EICMA in Milan. Paying homage to the original 1980 BMW R80G/S, this urban combines the classic motorcycle with modern technology and sophisticated craftsmanship that can transport anyone back to the days when the GS abbreviation meant a sense of freedom and the passion for adventure on two wheels, both on-road and off-road. But this time they’re for looks and not for bashing your way across unpaved expanses of Africa. BMW continues its GS legacy into 2017 with the R 1200 GS and R 1200 GS Adventure. 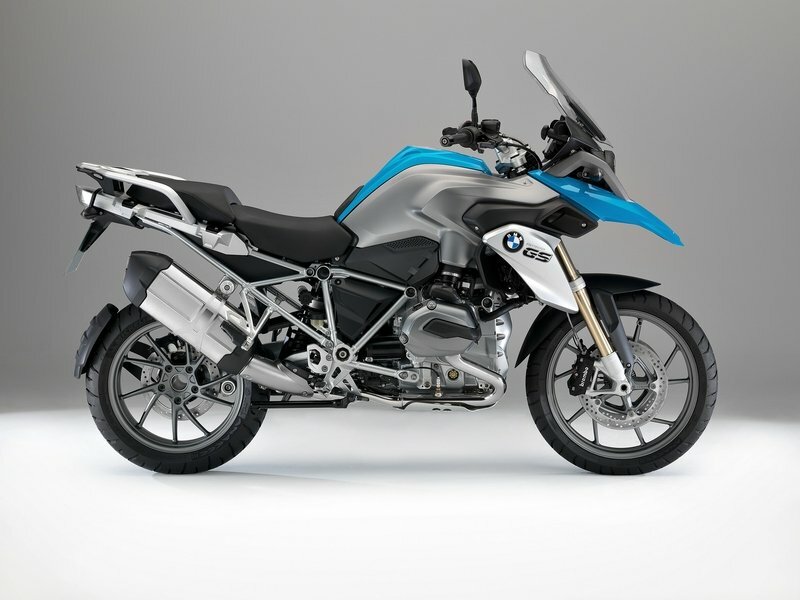 With a new cooling concept integrated into the muscle-up-front design from last year, the R 1200 GS looks even more ready and capable to carry you on the adventure of your choosing. 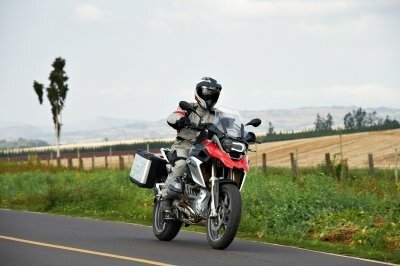 Standard with disengageable integral ABS, traction control, an on-board computer, a height-adjustable saddle, stepless adjustable windscreen, a pillion adjustable fore and aft, and removable passenger pegs, the R 1200 GS and R 1200 GS Adventure are great choices for on-road and off-road touring. Continue reading for my review of the BMW R 1200 GS and R 1200 GS Adventure. Beemer back in ’13, and its adventures have brought us two new versions to bolster the family up to a total of four distinct models. 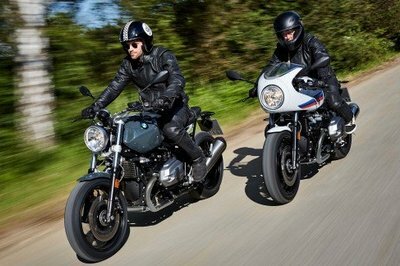 Adding to the base R nineT and the “Scrambler” models are the all-new for 2017 “Pure” and “Racer” models. Continue reading for more on BMW’s new R nineT Scramblers. The Bayerische Motoren Werke has been teasing us for months now. Since the release of the base-model R nineT, Beemer has had to scramble, if you will forgive the pun, to increase production to meet demand. 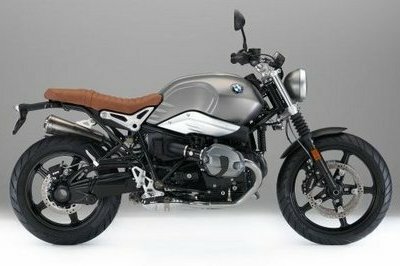 Although this is a nice problem to have, I have to wonder if Beemer isn’t about to compound the issue now that the much-anticipated Scrambler is finally hitting showroom floors. 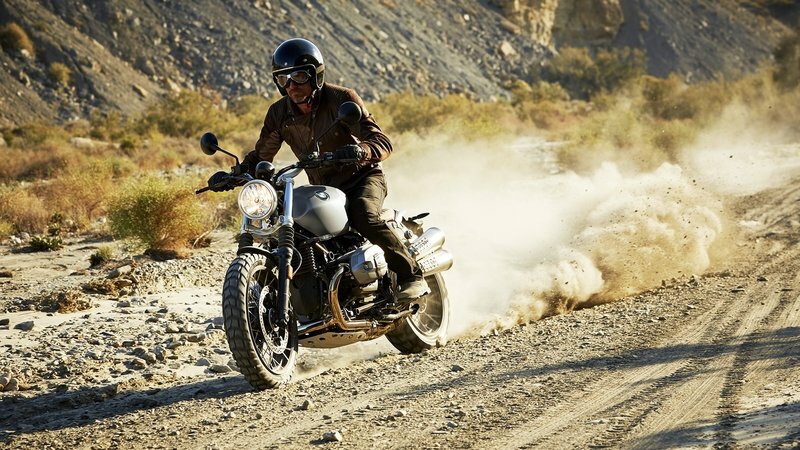 Based on the R nineT “Roadster,” the Scrambler comes set up for a more dirt-centric riding style for riders who like to swing both ways (giggety! ), but in a more street-friendly package than, say, enduro models. Scramblers fall into the bevy of “retro” models we are seeing from nearly every quarter as of late, and I for one think it’s great, even though many are more faithful to the original concepts. 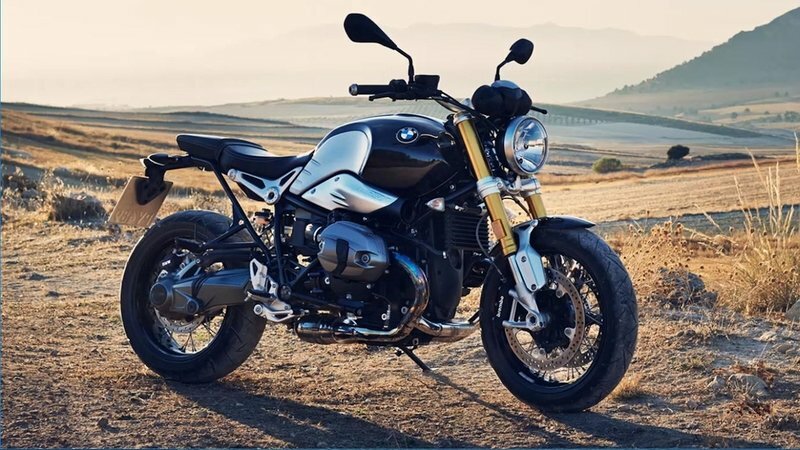 Continue reading for more information on the BMW R nineT Scrambler. Italian tattoo artist Marco Manzo is one of the most prominent fashion tattoo artists in the world today. His incredible creations have taken a life of their own, often being described as ink haute couture. Clearly, the man isn’t lacking in artistic talent and recently, that talent was in full display when he turned a BMW Motorrad Roma-supplied R nineT into his own personal work of art. For the record, Manzo’s work on the R nineT doesn’t count as your typical customization. There are no engine upgrades and there were very little aesthetic improvements that typically counts in the traditional sense of a custom project. Sure, there’s a new round headlight, a resin rear fender, and LED turn indicators. But that’s about it on that end. What sets Manzo’s work apart from other R nineT projects I’ve seen are the intricate artistic details of his tattoo art, which he used to decorate the surface of the motorcycle. The artist even dug deep into his bag of tricks with the use of gold leaf to complement the blackened areas of the bike. For those who don’t know, gold leaf is a process by which gold is been beaten into a very thin sheet and used primarily for design and artistic purposes. It’s a very meticulous project that often requires a great deal of time since it’s still mostly done by hand. Oh, and it’s also expensive since it makes use of actual gold. But Manzo doesn’t do things half-baked so he went about and used gold leaf on a number of sections on the bike, including the rims, forks, cylinder head covers, instrument cases, and the the sides of the tank. Once that process was done, Manzo used a special film paint from Win Grafix to create his trademark tattoo patterns. The result is nothing short of incredible. Not only does it speak highly of the customization potential of the R nineT, but more importantly in this case, it’s further proof of Marco Manzo’s incredible talent in ink haute couture. 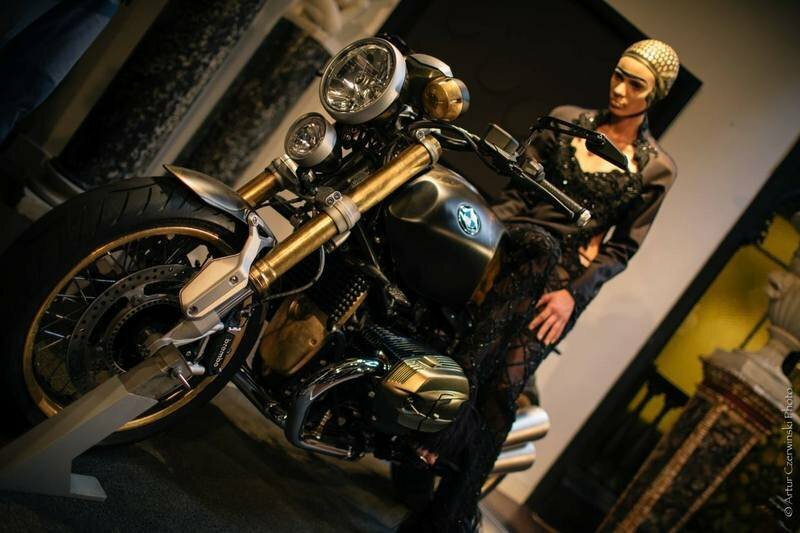 Continue reading to read more about Marco Manzo’s work on the BMW R nineT. If there was ever any question about BMW’s staying power in the world of motorcycles, BMW Motorrad USA’s 2014 sales figures will blow all those doubts out of the water. 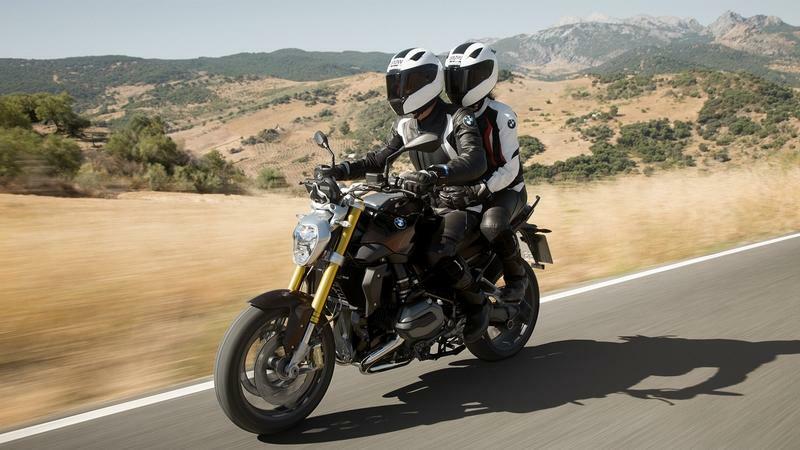 For the year that just finished, BMW Motorrad is reporting record-breaking sales figures led by its S-Series bikes - the S1000R and the S1000RR - which saw its sales figures increase by 80 percent to 254 sold units for the year. But the S-Series wasn’t the only strong performing bike under BMW Motorrad USA’s portfolio. The R-Series also saw a rapid increase in sales, accounting for a 17 percent bump up to 477 units sold. 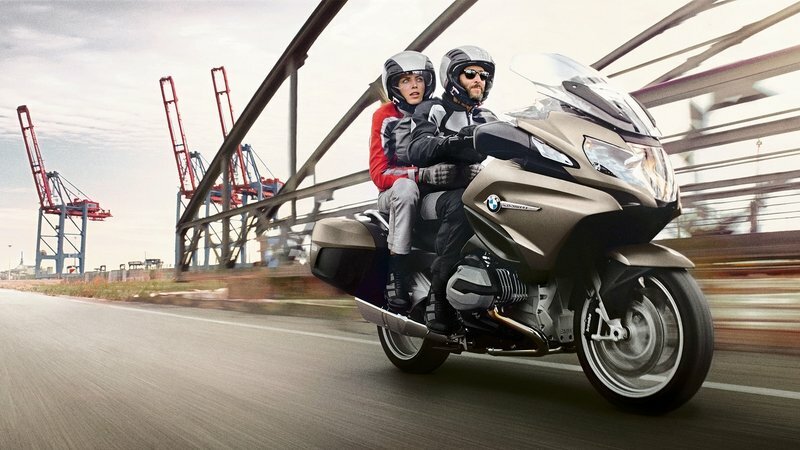 In fact, if you’re looking for the BMW Motorrad USA’s best-selling motorcycle for the year, the R1200RT tourer is the top-winner with 207 models sold. The bike, which presented a semi-water cooled Boxer engine transplanted from the R1200GS, accomplished all of that despite experiencing its own mechanical issues that kept it on the shelves for a few months. All told, BMW Motorrad USA sold 14,945 motorcycles for the year, 5.4 percent better than its 2013 sales figures. It’s an impressive number given how much importance BMW has put in the US market to sell its motorcycle units. All that hard work has certainly paid off, especially recently with BMW Motored USA concluding the year with an impressive December showing of 1,232 units sold, 11.9 percent better than its sales numbers in the same time period last year. 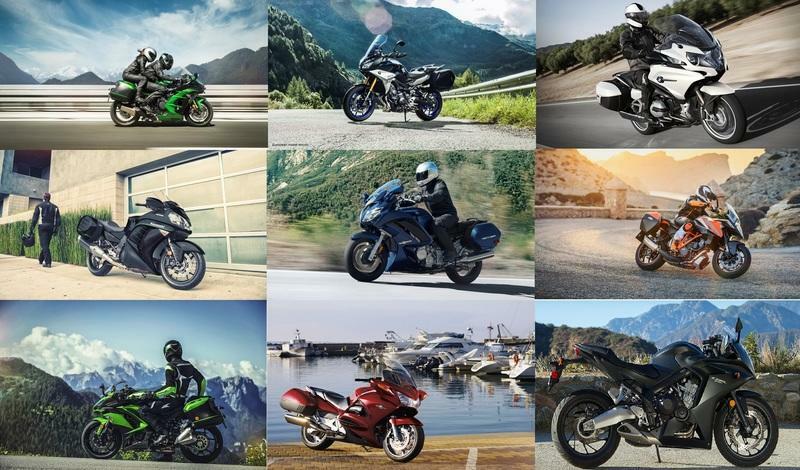 Click past the jump to read more about BMW Motorrad USA’s impressive 2014 sales figures. 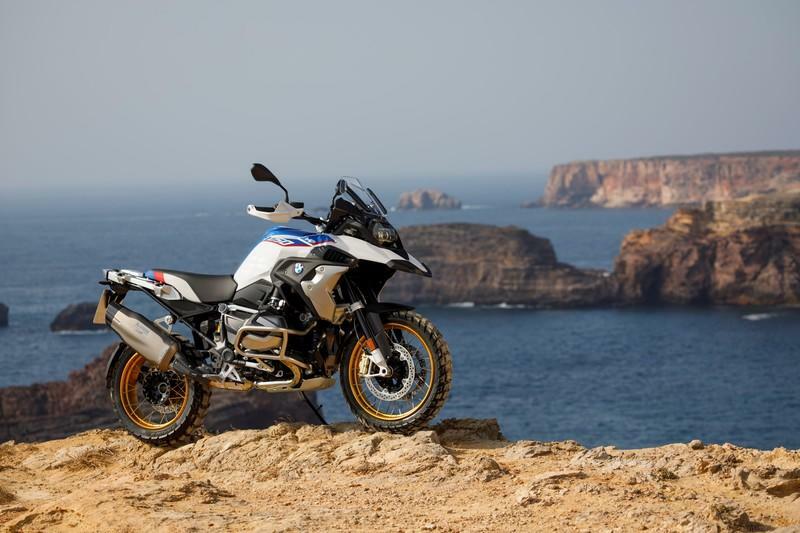 If you like wild adventures on two wheels then you’ll certainly like the new BMW R 1200 GS Adventure. 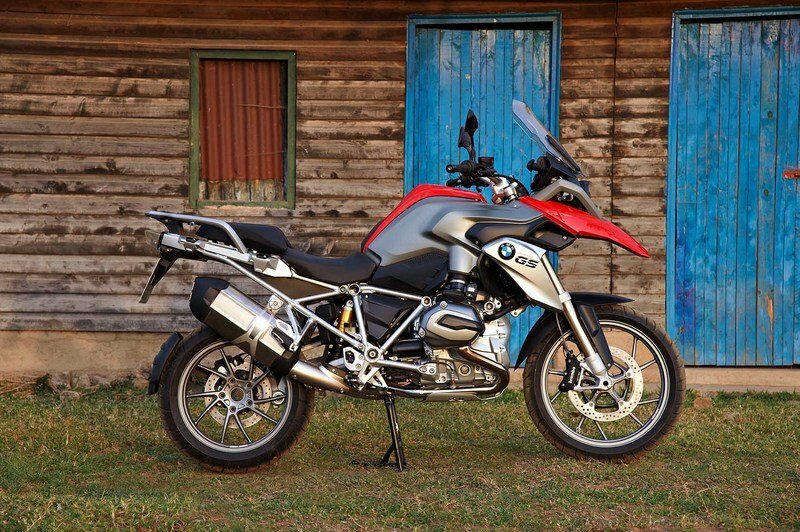 This tasty adventurer is based on the R1200 GS and is propelled by a 1170 cc, air/liquid-cooled boxer engine. The unit delivers a maximum output of 92 kW (125 hp) at 7,750 rpm and 92 lb-ft of torque at 6500 rpm. All this power is kept under control by a as the six-speed gearbox that is integrated into the engine housing togheter with the wet clutch. Compared to the standard model, the Adventure version comes with a set of key modifications which make it tougher and more capable to deal with harsh conditions. Among the modifications you’ll find a larger fuel tank that has a capacity of 7.9 gallons, a 0.8 inch longer spring travel, a larger seat and a slightly modified engine. Hit the jump for more information on the BMW R 1200 GS Adventure. BMW has taken the wraps of its fresh R nineT. The new roadster was especially developed to mark “90 Years of BMW Motarrad” and comes with a comprehensive list of features that give it a fairly unique character. At the heart of the motorcycle lies a 1,170 cc, air/oil-cooled, flat twin, boxer engine which cranks out a maximum output of 81 kW (110 hp) at 7,550 rpm and 119 Nm (88 lb-ft) of torque at 6,000 rpm. 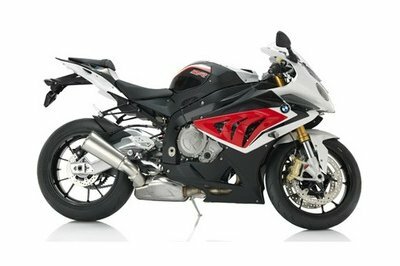 The engine is mounted on a modern tubular steel spaceframe that sits on an advanced suspension system that includes an upside-down telescopic fork taken from the S 1000 RR and a paralever single-sided swingarm that works together with a central spring strut. The motorcycle is also fitted with wire-spoke wheels with black anodized alloy, non-flanged rims, black aluminum hubs and stainless steel spokes. The stopping power is assured by radial 4-piston monoblock brake callipers that bite floating 320 millimeter (12.6 inch) brake discs. Needles to say that you also get BMW’s advanced ABS system for enhanced stopping power. Hit the jump for more information on the 2014 BMW R nineT. 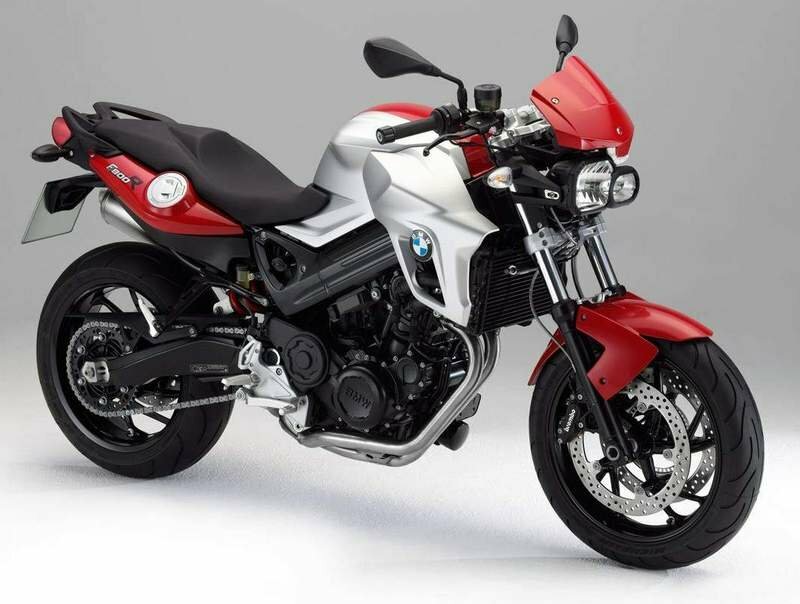 The BMW R 1200 R has received a series of modifications for 2014 and according to BMW’s press release it is no longer available in Sapphire black metallic and Magnesium beige metallic. Apart from the color modifications, the 2014 model year has also received a few style improvements, new circular instruments, a new higher-quality fork, the new double-butted aluminum handlebars, beautiful new cast wheels and a chrome exhaust manifold. Other features that are worthy of being mentioned include ABS, ASC, tire pressure monitoring, ESA (Electronic Suspension Adjustment), case holders and a windshield. At the heart of the 2014 BMW R 1200 R lies a DOHC flat-twin engine that features two overhead camshafts and four radially arranged valves. The engine’s output is rated at 81 kW (110 bhp), while the maximum torque is no less than 119 Nm at 6,000 rpm. Hit the jump for more information on the 2014 BMW R 1200 R.
BMW has launched a tasty special edition of its R1200R roadster. Unfortunately there aren’t any modifications in the technical department, so most of the changes aimed the bike’s appearance. The new model is called the “DarkWhite” and features a unique, minimalist paint job that despite its simplicity helps it stand out from the crowd. 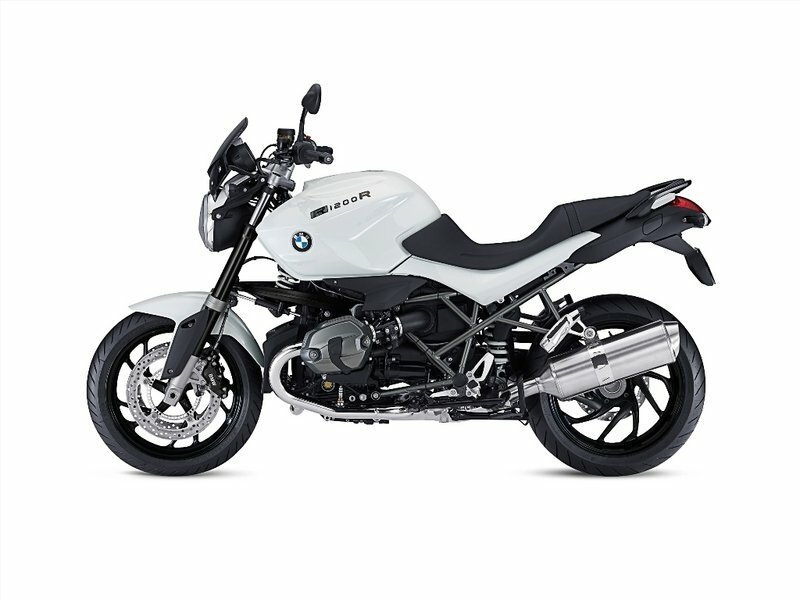 The classy paint scheme used for the R1200R “DarkWhite” gives the entire bike a pretty sophisticated appearance without taming its aggressive character. We especially like how BMW designers have found the perfect balance between light and dark colors. The high impact contrast between the bodywork, drivetrain and wheels proves us once more that you don’t need to go over the top with color combinations to obtain a special appearance. The frame received an asphalt grey finish, while the swingarm, rear axle housing and triangular wishbone were left in matt black. The black anodised fork tubes and the sports windshield add the finishing touch. The BMW R1200R “DarkWhite” will be available from 1st October with a price of €13,000. Hit the jump to see the official release. 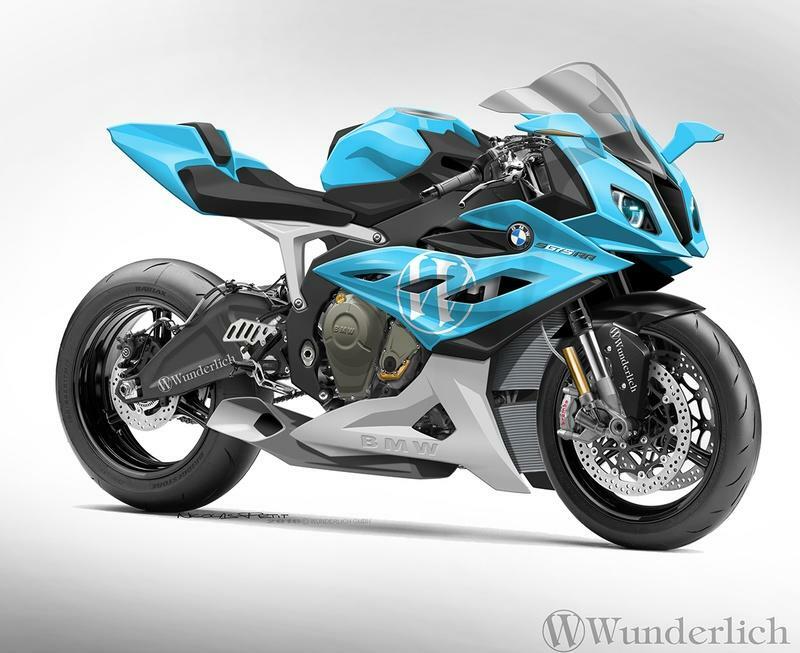 Wunderlich is one of the most trusted aftermarket parts manufacturers for BMW motorcycles. The company has earned a pretty good reputation among BMW’s riders and there is no wonder why as its products are reliable, practical and easy to mount on the stock models. The latest product designed by the German company is a tasty windscreen named the Ergo Marathon. 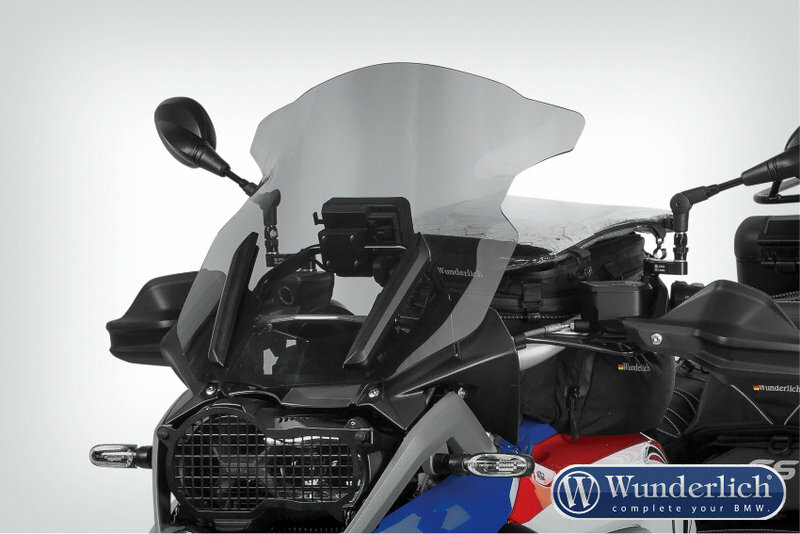 The new windscreen has a modern design and was especially developed for the BMW R1200GS. The company promises that its special windscreen will improve the motorcycle’s aerodynamic abilities and the rider’s comfort during long journeys. There is also available an additional support bracket which eliminates the vibrations produced while riding on tough terrains. The Ergo Marathon windscreen is made of petrol-resistant Lexan plastic and is offered in two versions - clear or smoke-tinted. Needless to say, that the Ergo Marathon windscreen can be mounted very easy on the bike and doesn’t require any modification whatsoever. 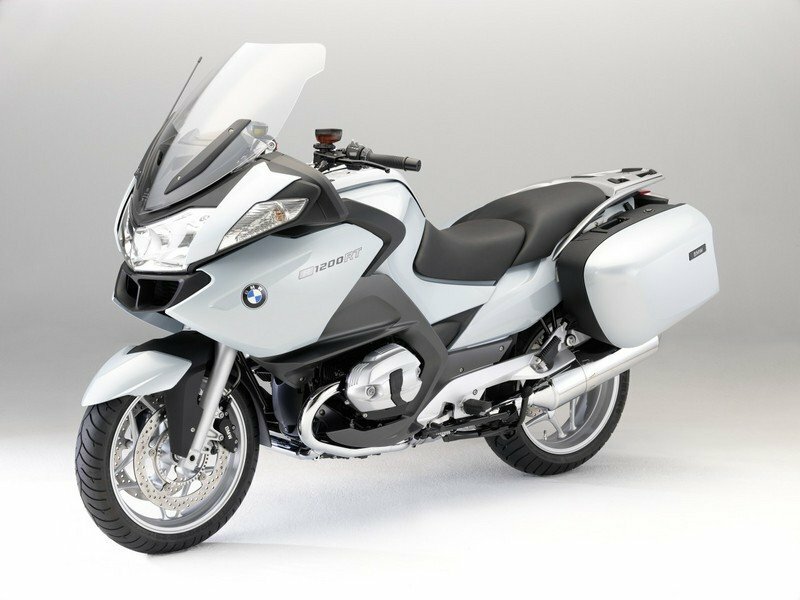 The Wunderlich Ergo Marathon for the BMW 1200GS is offered with a MSRP of $309. Touratech is already known for its wide range of aftermarket accessories, so its new products comes as no surprise. We are talking about its new Zega Pro Aluminium Panniers that were especially developed for the 2013 BMW R1200GS. 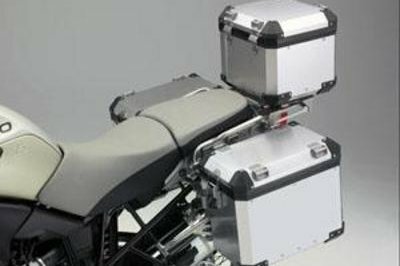 Needless to say that the panniers were designed with practicality in mind and come together with model specific racks so they can be easily installed on the motorcycle. The Zega Pro Aluminium Panniers are made of 1.5mm thick aluminium sheets with a reinforced structure, and are offered in three volumes namely 21, 38 and 45 liters. You can also choose from three colors including bare aluminium, anodized black or anodized silver. The panniers were carefully designed to withstand the toughest punishments and are the perfect solution if you want to some extra storage place. Thanks to their tough construction they can be used both on- and off-road. The Touratech Shows Zega Pro Aluminium Panniers offered for the 2013 BMW R1200GS are priced between $1342 - $1538. It is not an easy decision when it comes to making the purchase of an aftermarket exhaust. The smartest solution is to make a complete research before you make your final decision or to go the easiest way and choose a model that was especially developed for your bike. 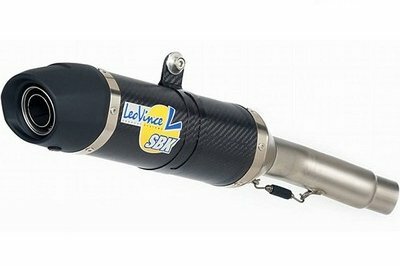 If you are a BMW R1200GS rider, LeoVince USA makes your job easier, with its new LV One slip-on exhaust which is especially developed for the 2013 R1200GS and R1200GS Adventure. The exhaust promises to significantly improve the motorcycles performances by improving the medium to high end power performances. As the R1200GS models were designed for tough and long journeys, the new Leo Vince exhaust was especially developed to suit a bike that is ridden at full throttle. It is also worthy of being mentioned that the exhaust is available with both stainless steel ($479) and carbon fiber canister ($579) options. Compared to the stock exhaust, the LV One is slightly lighter and also comes with a removable EVO II sound insert that gives you the possibility to adjust the tone and lowers the dB levels. The LV One slip-on exhaust comes with a two year warranty with registration and repack suggested at 30,000 mile intervals. 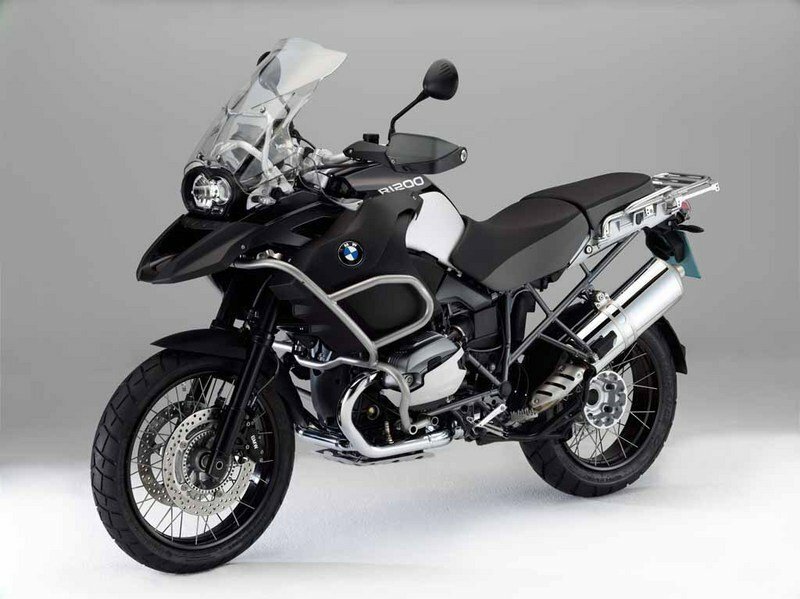 Together with the standard BMW R 1200 GS the German manufacturer is now offering the R 1200 GS Touring Edition which comes with a series of special features that make it the perfect Touring motorcycle. The BMW R 1200 GS TE is a tough bike designed for tough riders and its versatility, reliability and performances make it one of the most wanted motorcycles in the segment. Among the most important features offered by the BMW R 1200 GS TE you’ll find Enduro Automatic Stability Control (ASC), hand guards, ABS, cruise control, heated handlebar grips, chrome exhaust and tyre pressure control. At the heart of the BMW R 1200 GS TE is an air/liquid-cooled, four stroke flat twin, 1170 cc engine which delivers a maximum output of 92 kW (125 bhp) at 7,750 rpm and 125 Nm at 6,500 rpm. Hit the jump for more information on the BMW R 1200 GS TE. The BMW K1300R is one of the most impressive naked bikes from the streets. If you wonder why, the answer is because this German monster receives great marks in all departments’ whether we are talking about design ergonomics or performances. The BMW K1300R is built around a water-cooled, 4-stroke, in-line four-cylinder engine with two overhead camshafts and four valves per cylinder. The engine’s power is rated at an impressive 127 kW (173 hp) at 9,250 rpm and 140 Nm of torque at 8,250 rpm. Fire up this strong 4-stroke unit and it will propel you to a maximum speed of over 200 km/h. The stopping power is assured by front 320 mm dual disc brakes, with 4-piston fixed calipers and rear 265 mm single discs with double-piston floating calipers. 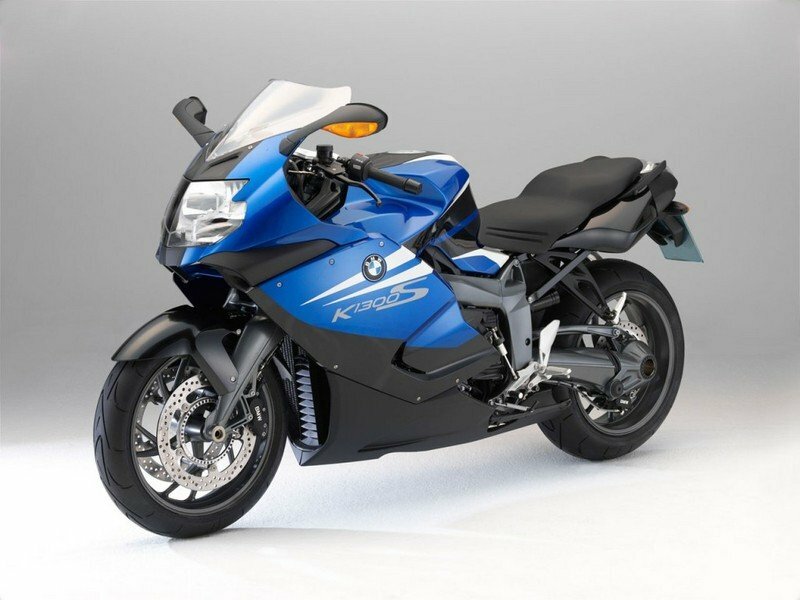 As far as prices are concerned the 2013 BMW K1300R can be yours for no less than £12,125.00. Hit the jump for more information on the BMW K1300R. The BMW RT is around for 30 years now and this 2 cylinder model still continues to reward its riders with first class performances. During its long life span the model has received constant upgrades and today is packed with the latest technologies. The motorcycle offers excellent wind and weather protection, optimum ergonomics and features a top-class chassis fitted with unique optional extras such as ASC and ESA II (Electronic Suspension Adjustment). The bike sports a new audio system available as an optional extra, with the innovative operating concept Multi-Controller carrying out virtually all commands from a single unit. At the heart of the BMW R 1200 RT lies a modern air/oil-cooled flat twin (’Boxer’) 4-stroke engine, which puts out a maximum torque of 88 ft-lb at 6000 rpm and 110 hp. 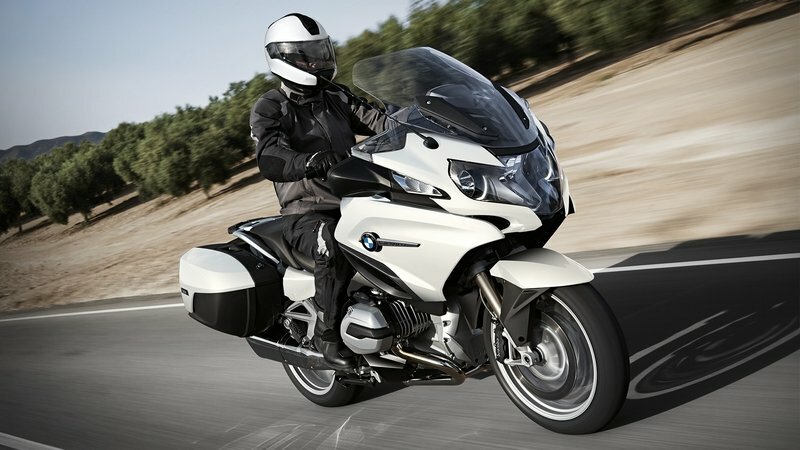 Hit the jump for more information on the 2013 BMW R 1200 RT. 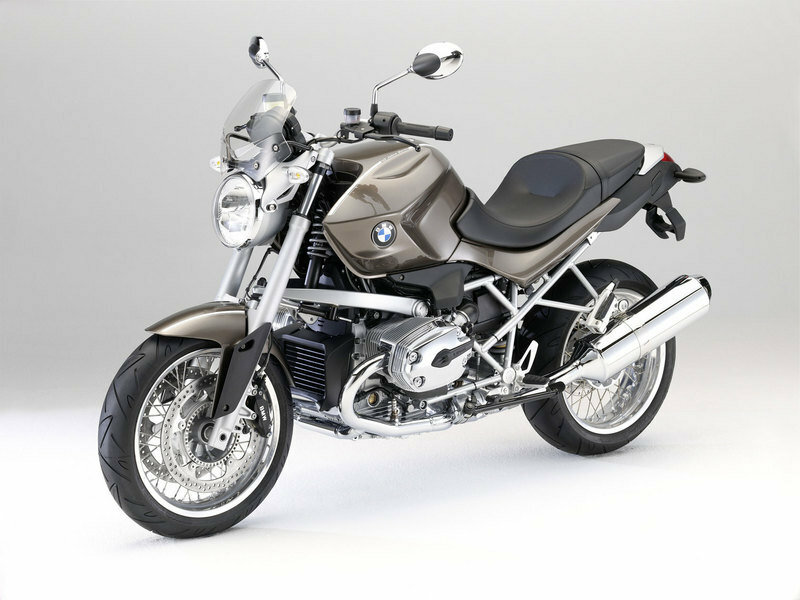 The BMW R1200GS has a long history behind it as is around for almost 32 years. 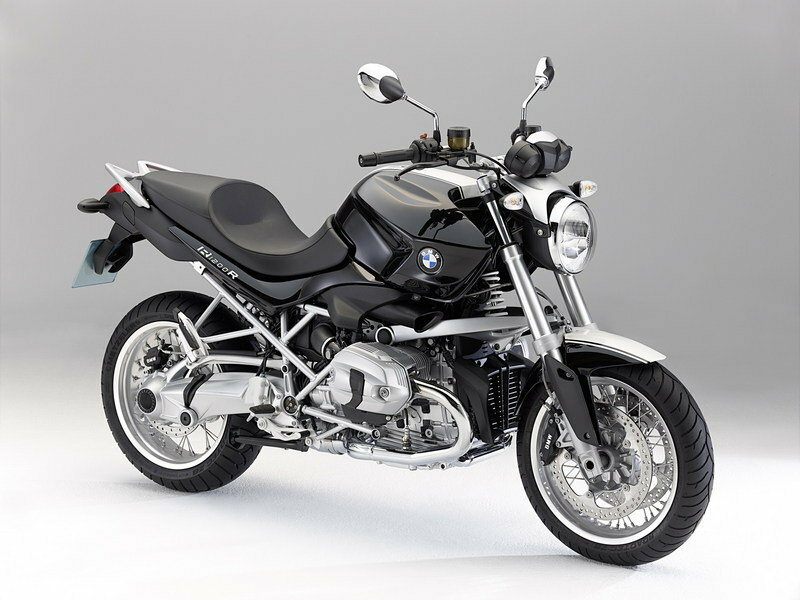 The German manufacturer decided to improve it even more for 2013 and the new version is the most capable R2100GS of all times. 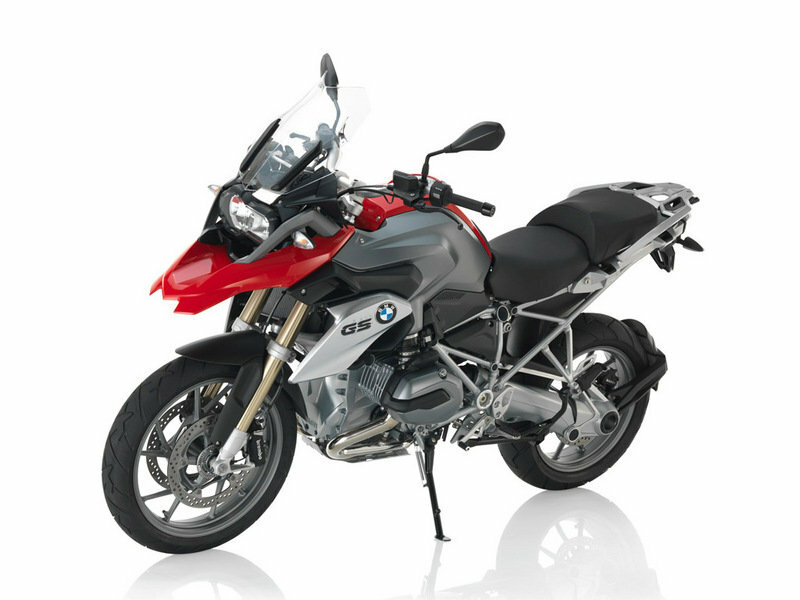 The 2013 BMW R1200GS is powered by a new opposed twin engine which delivers a maximum output of 125 hp. The engine has received a set of improvements such as a new wet clutch with antihopping feature, electromotive throttle actuator and optional “riding modes”. BMW says that its new R1200 GS offers a top speed of over 200 km/h. The engine is mounted on a strong frame which is combined with a set of sporty suspensions which are able to adjust automatically to various terrains and load conditions. The 2013 model is also offered with new body panels, cooling system, wheels and a unique LED headlamp. Hit the jump for more information on the 2013 BMW R1200GS. The BMW R1200R is known as the world’s first motorcycle equipped with "Automatic Stability Control". Since then, the model’s reputation has become better and better and today stays among the top dogs in its segment. The BMW R1200R offers a perfect combination between classic and modern, and its unique design helps it get noticed every time is passes down the street. But everybody knows that the design is only an exterior shell and what’s more important is what lies underneath it. Perhaps it goes without saying that the BMW R1200R is packed with all the modern features expected from a top manufacturer. For the starters, it sports a strong 1200 cc engine which cranks out 110 hp and 88 lb.ft of torque. Secondly, the engine is combined with a set of capable brakes which include ABS. Then there is the strong frame, the sporty suspension and the various electronic systems which work together to maximize performance and safety. Hit the jump for more information on the 2012 BMW R1200R. 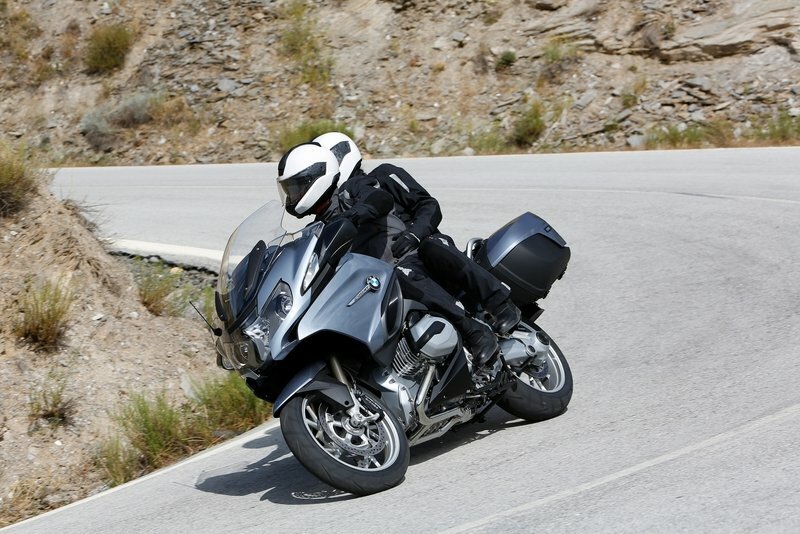 The BMW R1200RT is a pretty capable sport touring motorcycle. Though, BMW considered that it can still be improved even more so they went on and made a few modifications. Therefore the 2012 generation received a new boxer engine with much more torque and new DOHC cylinder heads. The bike has also a fresh cockpit, new shift units, new hydraulic reservoir and handlebar separately mounted and a new audio system. Compared to the previous model, the new R1200RT is also slightly taller and wider, two attributes that improve the road stability and rider protection. The BMW R1200RT is also featuring an ESA (Electronic Suspension Adjustment) with damping, spring base and now also spring rate adjustable at the touch of a button. 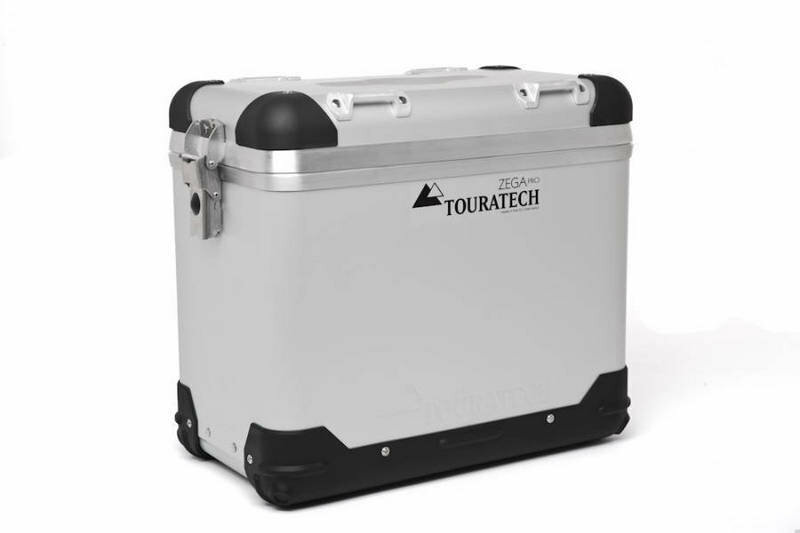 Not to mention about the Integral ABS and hard-shell cases, all offered as standard equipment. As far as styling goes, the new model received new fairing and a redesigned cockpit with visor and adjustable foot shift lever. Hit the jump for more information on the 2012 BMW R1200RT. The BMW R1200GS Adventure is a tough motorcycle which is ready to join its rider in the wildest on or off road adventures. The motorcycle offers a wide range of features which help it tackle any mission with ease. For the starters, it comes with an aggressive design language that inspires confidence and agility. You also get top notch ergonomics thanks to the comfortable saddle and handlebar. At the heart of the R1200GS Adventure lies an unstoppable DOHC engine, borrowed from the HP2 Sport. The R 1200 GS Adventure’s engine rewards you with a peak torque of 88 ft-lb available at 6000 rpm and a maximum power of 110 hp at 7750 rpm. The 2013 model is also offered with an anniversary package which comprises a matt black/gold paint finish, high-quality model inscriptions and an exclusive brass plate on the clamp. Hit the jump for more information on the 2013 BMW R1200GS Adventure. Looking for a sporty naked motorcycle? Then you should take a closer look at the new BMW 800R which is one of the most appreciated models in its class. The F800R was developed to offer a great mix between the highway and urban driving. Naturally, the motorcycle’s center piece is represented by the 798 cc, 2-cylinder engine which rewards you with ground breaking performance and a tasty exhaust note. The engine cranks out 87 hp and 63 ft-lb of torque and is paired with a constant mesh 6-speed gearbox integrated into crankcase. Thanks to its capable engine, the motorcycle is able to reach a maximum speed of over 125 mph and the fuel consumption is also pretty good being rated at 65 mpg (calculated with a constant speed of 55 mph). The sporty package is completed by top notch ergonomics, a firm chassis, standard ABS and a perfectly balanced geometry. 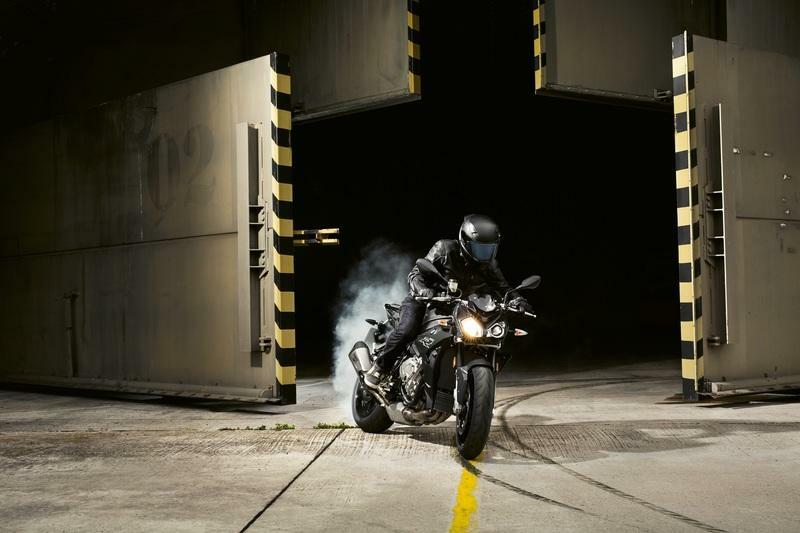 Hit the jump for more information on the 2013 BMW F800R. 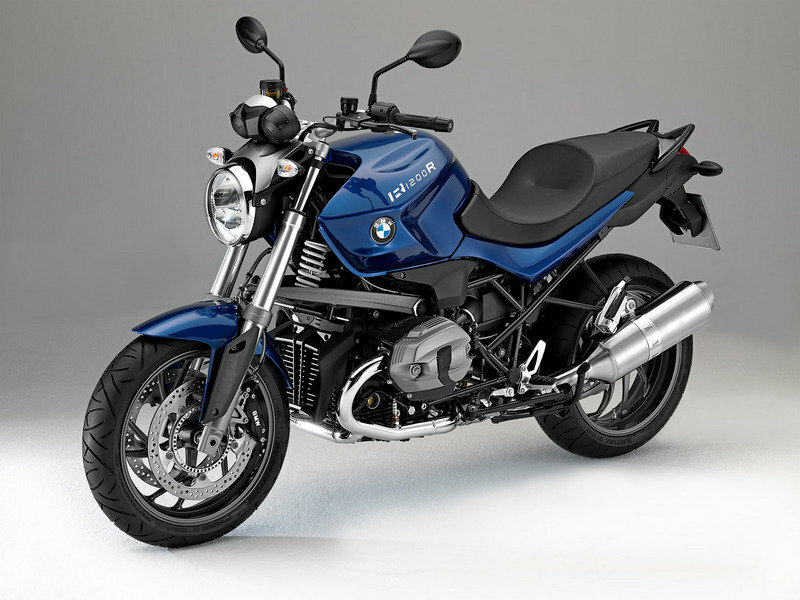 The BMW R1200 R is one of the most practical models built by the German manufacturer. The motorcycle is not only practical, but is also pretty good looking and strong. What’s even better, it has received a set of upgrades for 2013 which help it stay among the top dogs. The new facelift includes a few design changes, fresh instruments, a high-quality fork, double-butted aluminum handlebars, tasty cast wheels and a standard chrome muffler. As far as styling goes, the BMW R1200R will certainly stand out from the crowd thanks to its spoke wheels, the attractive paint job and the various chrome inserts. The motorcycle is propelled by an air-cooled 2-cylinder twin engine which received a few tweaks to deliver more power. Thereby the engine’s output has been increased to 81 kW (110 bhp), while the maximum torque has also been raised to 119 Nm at 6,000 rpm. Hit the jump for more information on the 2013 BMW R1200R. 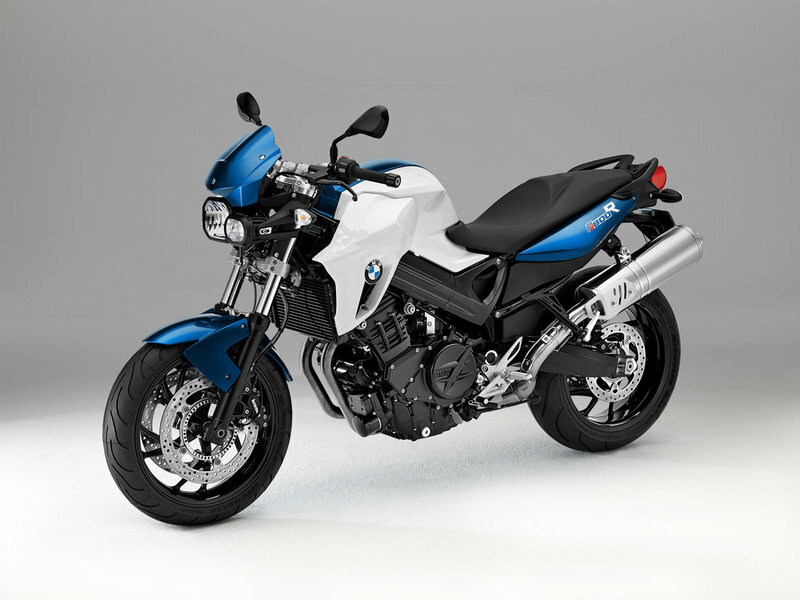 The new 2013 BMW F800R is one of the most appreciated naked models in its class. The bike is powered by a capable 798cc, liquid-cooled, four-valve parallel twin engine which cranks out 87 horsepower at 8,000 rpm, and 63 ft. lbs. of torque at 6,000 rpm. The motor features 12:1 compression ratio, and is mated on a six-speed transmission. The engine is mounted on a strong yet light, aluminum frame which is combined with a dual swing arm and a 59.8-inch wheelbase. Thanks to the low weight and the firm, stable chassis the bike has a perfectly balanced geometry and rewards its rider with superior agility. The motorcycle is kept in check by dual 320mm Brembo discs up front squeezed by four-piston calipers, and a single 265mm disc out back. Needless to say that you also get standard ABS. Other upgrades for 2013 include a new radiator side trim, white turn indicators, a sports windshield and a wheel cover in the same color as the body. The bike is offered with starting price of $10.840. 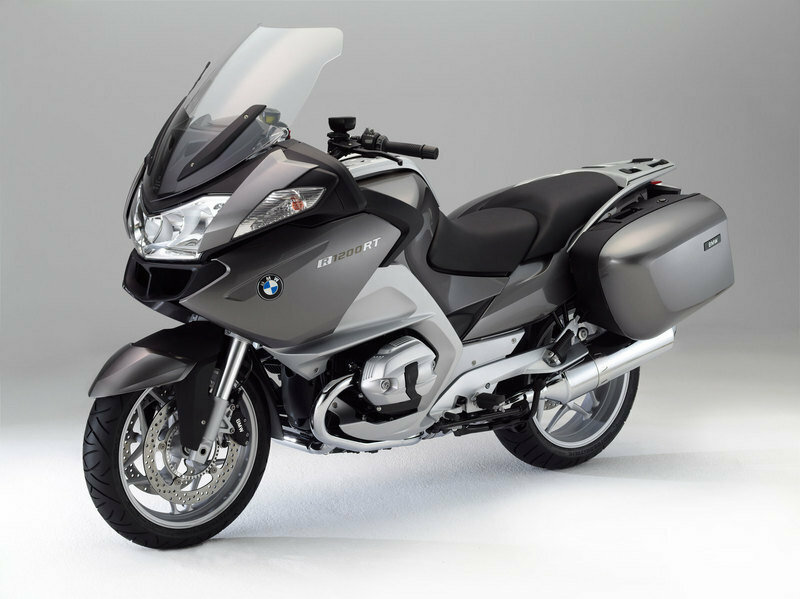 BMW revealed complete details about its HP and Dynamic Packages available for the BMW K1300S. The HP Package includes a tasty paint job which combines three contrasting hues namely Alpine White, Night Black and Lupine Blue to offer a unique appearance. This 2013 HP limited edition is equipped with extra HP Series parts like high-quality HP Carbon parts for the front wheel cover, battery cover and rear seat cowling, HP rearsets for the rider and passenger, a beautiful Akrapovic sports silencer and a paddock stand. There are only 750 units available in HP guise and every model is also offered with a unique, numbered plaque. Hit the jump for more information on the Dynamic Package available for the BMW K1300S HP. The world’s most successful travel enduro is perfected. 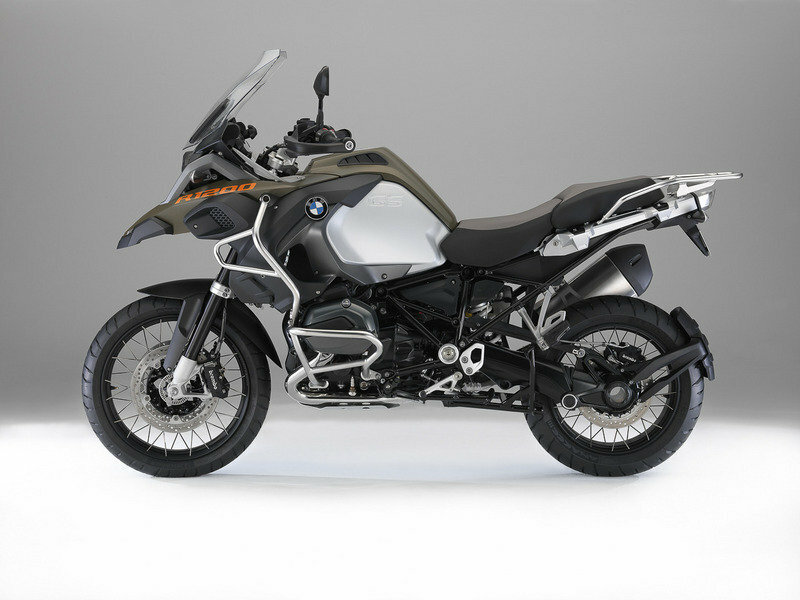 The “BMW GS” concept has embodied riding pleasure and the desire for adventure for over 30 years. This applies especially to the GS motorcycles with the opposed-twin “boxer” engine. The “big GS” allows motorcyclists to explore the most remote corners of the world - an idea that has already inspired numerous globetrotters to set off on their travels. But the GS was and still is much more than this. Whether sports-style cornering on winding country roads, excellent travel times due to high motorway speeds, relaxed tours with a passenger or daring rides over rough terrain - every GS has offered supreme mastery of these skills in its respective era and this won’t change with the new version. it is the most successful and top-selling travel enduro in the world. So the challenge facing the BMW Motorrad development department was considerable: to further optimise the GS - an icon of three decades - improve it in all areas and equip it with innovative technical solutions to ensure it is in good shape for the future. • Further increase performance overall - without neglecting its well-established virtues. • Perfect its touring suitability. • Achieve superior figures within the travel enduro segment and beyond in terms of engine and riding performance. • Ensure preparation for the future in terms of noise and exhaust emissions. • Increase active and passive safety. • Unmistakable BMW Motorrad design in typical GS style. • Top quality as is characteristic of BMW Motorrad. ASC and riding modes as an optional extra: five freely selectable modes - “Rain”, “Road”, “Dynamic”, “Enduro” and “Enduro Pro”. The chassis of the R 1200 GS uses a completely newly developed tubular all-steel bridge frame with a bolt-on rear frame. Along with the newly designed Telelever at the front and the EVO Paralever at the rear, this has resulted in a further significant increase in torsional stiffness and hence ride stability and steering precision. Optimised handling qualities are the result of refined master geometric chassis data, and a longer swingarm provides further improved traction - especially when riding over rough terrain. • Completely newly designed engine for top-level riding dynamics within the travel enduro segment. • Capacity 1170 cc, rated output 92 kW (125 bhp) at 7700 rpm and a maximum torque of 125 Nm at 6500 rpm. • Cylinder heads with vertical through-flow for increased efficiency and performance. • Compact air/water cooling for optimum heat management. • Basic engine with compact, light and yet rigidity-optimised crankshaft. • Vertically separated case in open deck construction. • 6-speed gearbox integrated in engine housing, including wet clutch with anti-hopping function and reduced lever operation force. • New intake system for optimum output and torque with 52 mm throttle valve diameter. • E-gas for improved ridability, running smoothness and special functions. • Innovative exhaust gas system with electronically controlled exhaust flap for optimum performance characteristics and an earthy boxer sound. • Freely selectable riding modes “Rain”, “Road”, “Dynamic”, “Enduro” and “Enduro Pro” with three different electromotive throttle actuator settings in conjunction with ASC (Automatic Stability Control), ABS and ASC settings for off-road riding as well as different mode-specific Dynamic ESA settings (option ex works). • New suspension with torsionally stiff tubular steel bridge frame and bolt-on rear frame. • Optimised lightweight cardan shaft drive now running on the left-hand side. • Newly developed and optimised Telelever at front and EVO Paralever at rear for an even more precise ride feel. • Refined master chassis geometry data and long swingarm for excellent traction. • Optimised seating width and position, and adjustable handlebars for even greater comfort. • Optimised ground reach for rider (inner leg length). • Tyre/wheel dimensions of 120/70 R19 at front and 170/60 R17 at rear as a world first, tailored specially to the R 1200 GS. • Revised BMW Motorrad brake system with radially mounted Brembo Monobloc brake calipers at front and 2-piston floating caliper with enlarged brake disc at rear (Ø 276mm, previously 265mm). • BMW Motorrad Integral ABS as standard. • Semiactive suspension Dynamic ESA (ex works option). • Main headlight with optimised light efficiency and LED daytime running light (ex works option). • World’s first motorcycle with LED main headlight featuring integrated daytime running light (ex works option). • New vehicle electrical system with partitioning of functions. • Extended electric switch units. • Electronic cruise control (ex works option). • Windshield with one-hand operation for excellent wind and weather protection. • Seat with multiple adjustment functions for perfect ergonomics. • Number plate carriers quick to dismount for off-road riding. • New instrument cluster with on-board computer as standard. PRO on-board computer as an option. Alpine White, Racing Red, Blue Fire and Thunder Grey Metallic. • Extensive range of special accessories and rider equipment. 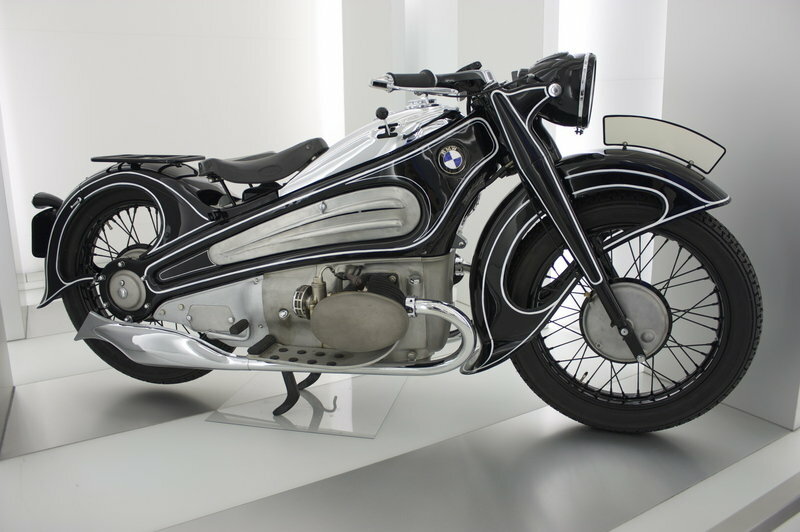 The BMW R7 is truly a one-of-a-kind motorcycle that was introduced as a concept in 1934, but never produced. It did, however, inspire the R17 and R5 models. It was built during the height of the Art Deco movement, which is apparent by its very precise design that adheres to the standard mathematical basis of the Art Deco style, and is truly a pleasing piece. After its conception, the R7 slipped away and was thought to be lost until it was rediscovered in 2005 and fully restored. It bears all black body panels with white outlines. Its wire wheels are painted a deep black to match the rest of the body. The body was like no other bike at the time, boasting smooth lines and fenders that partially wrapped around the wheels. Covering the engine are pieces of formed sheet metal to aid its aerodynamic qualities. Even the exposed cylinder heads are formed into a more aerodynamic dome shape. The R7 boasts an 800 cc boxer engine that Leonhard Ischinger designed for BMW. It boasts a forged, 1-piece crankshaft for extra strength, and 1-piece cylinders and cylinder heads. Since the camshaft was under the crankshaft, the cylinders were positioned higher, leading to more effective valve positioning and even more ground clearance than the typical bike of the era. Coming off of the engine are two chrome fish-fin exhaust pipes. This bike boasts a 4-speed manual transmission. Instead of the traditional foot shifter, the 1934 R7 boasts a car-style gear shifter to the right of the fuel filler cap. There is no price placed on this bike, as it is a one-of-a-kind example that has never been sold on the open market. We are sure it would fetch upwards of $1 million at auction. We’ll never know, as its original discoverers are still in ownership and show no desire to sell it. 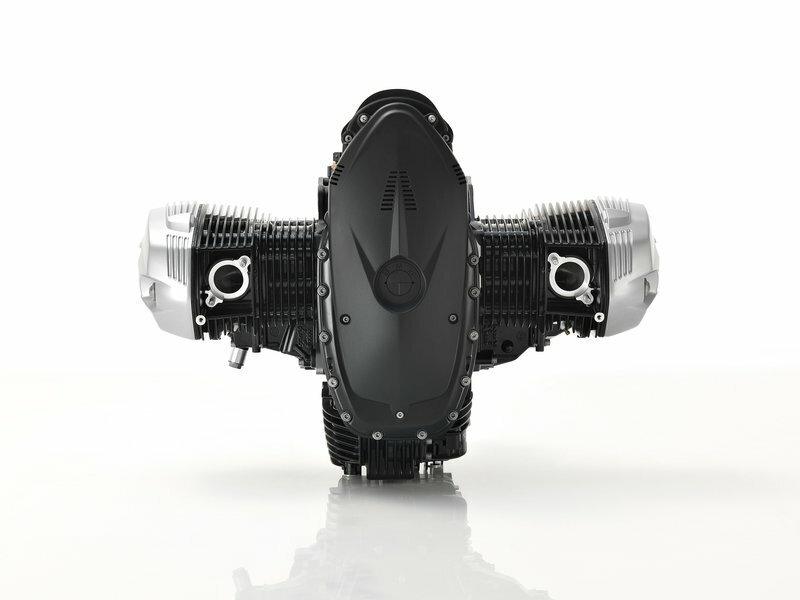 The BMW R1200 GS is already considered one of the coolest cross motorcycle in its class, but with the addition of a the special Triple Black version, the model became even cooler. Thanks to the Triple Black treatment the R 1200 GS Adventure Triple Black is without a doubt a true eye catcher. The Triple Black model is finished in a tasty combination of sapphire black, granite grey and asphalt grey. Moreover, the seat of the R 1200 GS Adventure has a special and exclusive feature as it is available for the first time without the GS symbol. The BMW R1200GS is powered by a flat twin (’Boxer’) 4-stroke engine, DOHC engine with a capacity of 1,170 cc. The engine is rated at 110 hp (81 kW) at 7,750 rpm and 89 ft-lb (120 Nm) of torque at 6,000 rpm. Hit the jump for more information on the 2012 BMW R1200GS Adventure Triple Black. The second model to be displayed by BMW Motorrad at EICMA Show is R1200 R, in both standard and Classic versions. 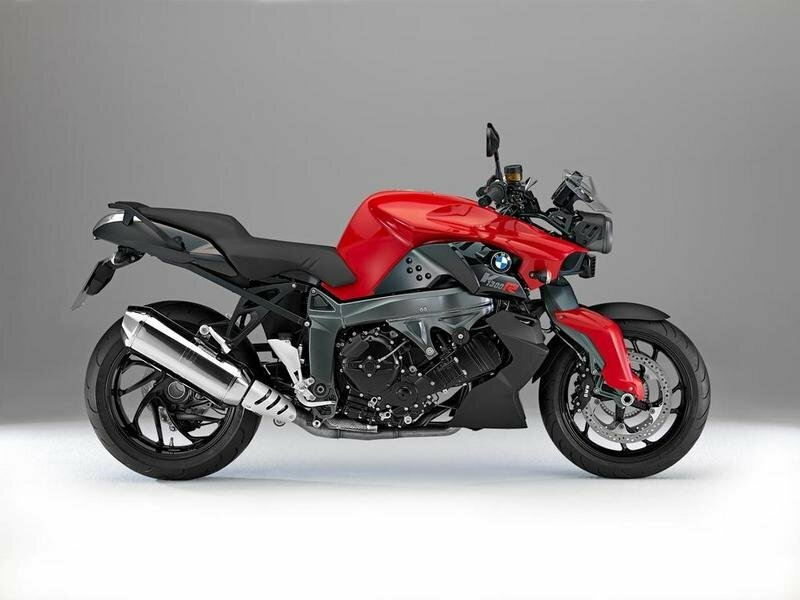 Both combine a modern sporty and accentuated classical motorcycle design, once again with considerably greater quality and driving dynamics for even more riding fun. The new R 1200 R is powered by a 1170 cc engine that delivers 110 HP at 7750 rpm and a peak torque of 119 NM at 6000 rpm. The new bike will be offered in three exterior colors: mat metallic smoky gray, metallic light gray, or metallic red apple. Both the R 1200 R and the R 1200 R Classic can be fitted optionally with electronic suspension adjustment ESA. This serves to vary the spring base and the suspension’s pressure and rebound stages at the rear wheel, and the suspension’s rebound stage at the front wheel – a system that has established itself as the solution for optimized road handling and comfort. As avid lovers of motorcycles, we have great expectations when it comes to our bike’s performance and design. We aim for a two-wheeled vehicle that can perform at its best, have outstanding features, and a mesmerizing appearance. These expectations in our bikes are what cause us to be grateful for BMW Motorrad who are here to produce the best motorcycles ever built. For several decades, Motorrad had been serving the motorcycle industry by producing highly-designed motorbikes thereby committing them to creating bikes that are near perfect. This year, BMW Motorrad surprised the local market by launching their newest sportbike, the BMW R1200 GS. The R1200 GS is a versatile motorbike that can be treated as a touring-oriented naked motorcycle or a classic sport bike. The term ’GS’, as defined by BMW Motorrad, is an output of their bikes’ high-quality performance. 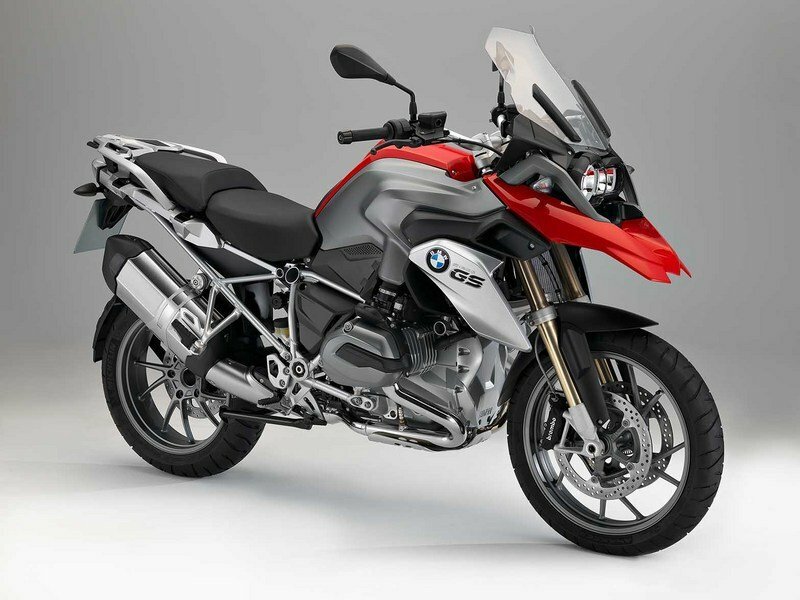 According to Motorrad, The ’GS’ is not just able to handle everything, it is actually built to do so; it’s the result of independent tests worldwide. 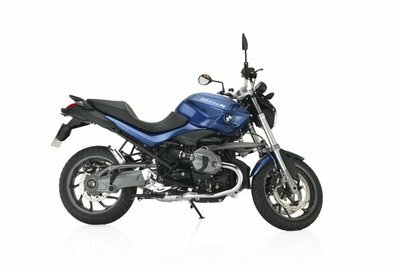 Their GS series of R1200 is a combination of easy handling, great touring features, off-road potential, and comfort for rider and pillion passenger.